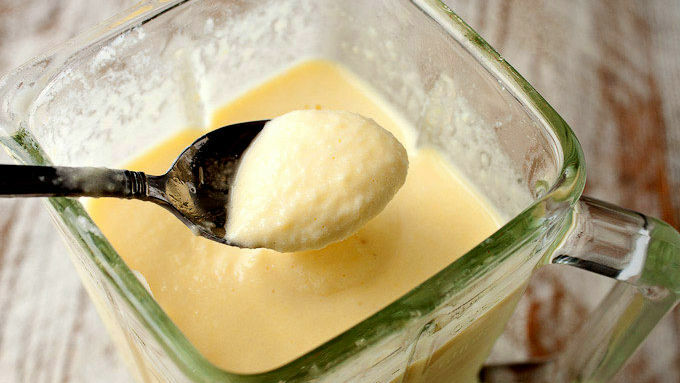 Add half-thawed pineapple, milk, vanilla, lemon juice, and a pinch of salt to a blender and blend until very smooth. At this point, the whip will have a very soft consistency. You can serve it like this if you want. 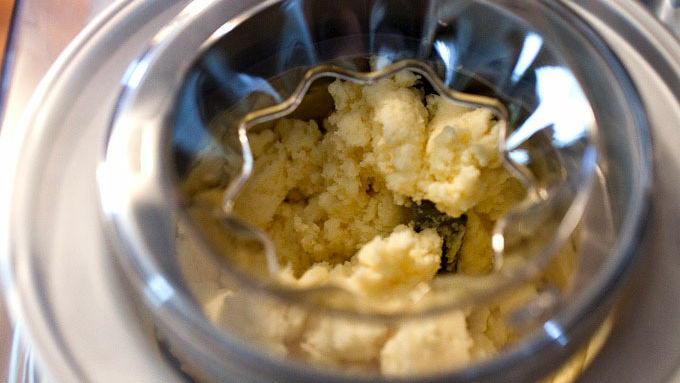 If you prefer a thicker whip, add the mixture to a chilled ice cream churner and churn for 10-15 minutes. Scoop out and serve immediately! Leftovers can be frozen, but they will turn very hard. 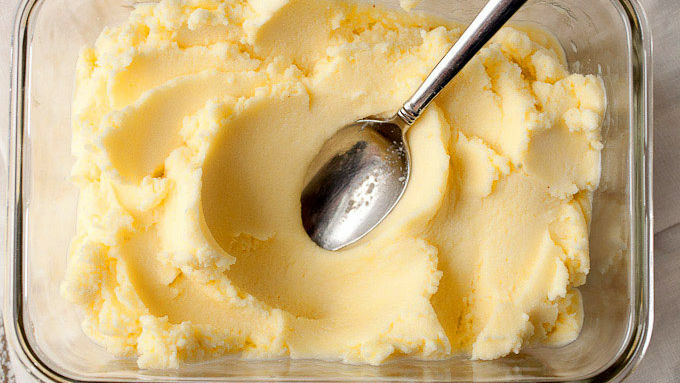 Thaw leftovers in the microwave on low heat for a minute or two, so it becomes a soft, smooth texture again. A homemade version of the classic theme park dessert. If you’ve ever found yourself at certain amusement parks (those that rhyme with “FISNEY”) on a hot summer day, you’ll probably run across something called a Dole Whip. 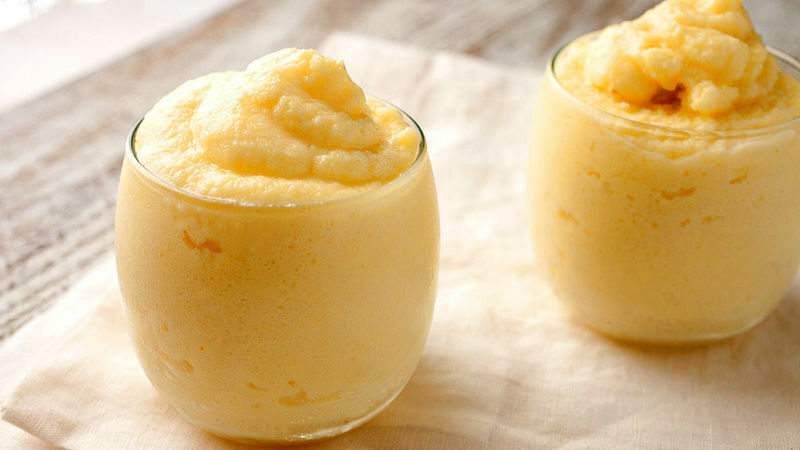 It’s basically a cross between sorbet and ice cream made with fresh pineapple. And it might just be the most refreshing thing ever on a hot summer day. Luckily, you don’t need a plane ticket to make it happen. It’s easy to make a really delicious version at home. The pineapple frozen dessert is so refreshing and the lemon and vanilla flavors make the whole thing pop. If you’ve never had this before, it’s worth trying for sure! One note: This is definitely best served right away. If you want to freeze it for later it’ll get really hard. In that case, it’s actually best to thaw it briefly in the microwave (1-2 minutes on defrost) so it softens again.